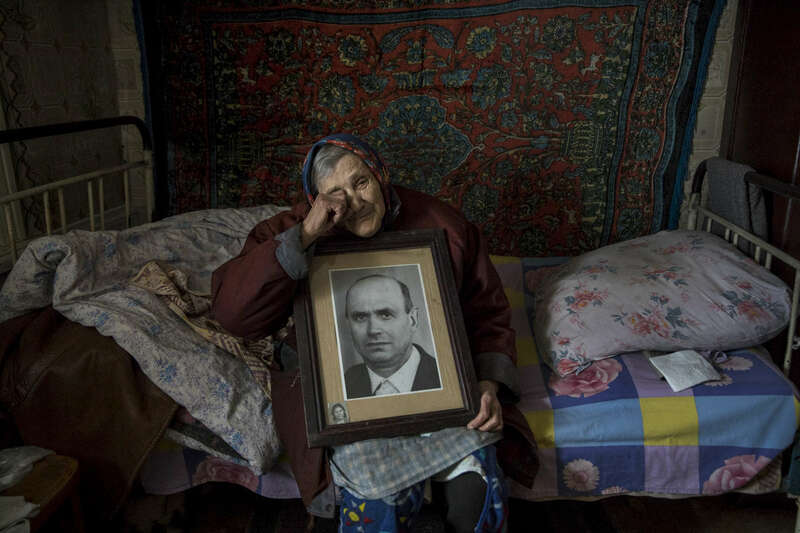 Katerinovka, Lugansk: Natalia Reshetnyakova, age 83 holds a portrait of her late husband who she was married to for over 50 years. She lives alone now. The only thing left reminding her of her husband is this portrait. The population of Natalia's village comprises less than 300 people. The village is exposed to the sniper’s fire as the contact line is just few kilometers away.